I’ll start by saying I wanted to get 18 done today, too, but after fighting with a different lawnmower that decided to eat fuses for dinner and then doing the dishes…my ambition petered out. Mi So is taking a page from the other women in this drama and going crazy. Makes you wonder if she will decide to go out for revenge later…but I’m not really sure I can see her as that kind of crazy, but you never know. After a recap of last week’s episodes, we open with Mi So and Kyung Soo sitting on a bench talking. Mi So confesses that she lost her mother when she was quite young and she can’t even remember what her mother looked like or even sounded like. There is, however, one thing she does remember—it was dark. Mi So was certain it was the middle of the day, but it was very dark and scary. She felt like she had been abandoned and was afraid and cried. Mi So thought that if she cried long enough, her mother would come, but she never did. Even though her heart was breaking, her mom never came back. Mi So starts crying as she is sure her daughter is feeling the same way. What will she do if Hae Ram is suffocating in the dark crying for her mother and father? Mi So needs to feed her, to bathe her, she needs to go to kindergarten as well…what will Mi So do now? The next morning Mi So is busy preparing breakfast for her daughter. She even has an entire conversation with Hae Ram who obviously isn’t there. Min Jae comes out and sees his wife talking as if Hae Ram is there and that takes him aback. When Mi So opens the bathroom door, there is no Hae Ram. This shocks her. 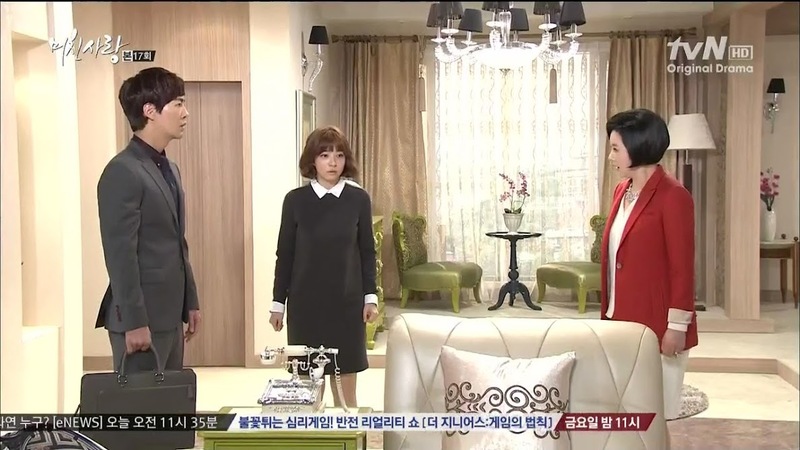 Myung Ja comes out and asks if her daughter-in-law is seeing things now. Well…she deserves it after all since she abandoned her daughter on the street. Grrrrrrr. Evil mother-in-law. I am shocked, though, that she actually encourages Min Jae to take Mi So into the doctor for a check up. It’s not a health issue. It’s a mental and emotional strain issue. Myung Ja leaves and Min Jae asks if his wife is fine. Mi So says she’s fine. Min Jae then says he was frightened when he found Mi So missing in the middle of the night. He tells her that her going out won’t help them find Hae Ram. She needs to stay put in the house today and get plenty of rest. He will not be able to survive if something happens to both Mi So and Hae Ram. Mi So very unconvincingly assures him that she is fine. How is she fine? Plus she can’t really control her crazy moments. They come and she doesn’t even realize she’s doing them. Yoo Jung is in her office looking at various people, but none of them have a spotless background that will help her win over Min Jae’s team. She sighs. Her assistant enters and she gets bawled out for finding lemons. Thus, Yoo Jung is thinking of going back to Parel and cleaning up his contract problem. If they can do that, then they may have a chance of convincing the board and winning. Yoo Jung then asks if Myung Ja came in today. She is told that she did. Her assistant leaves and Yoo Jung recalls what Ko said about Hae Ram going missing. Thus she goes to pay a visit to Myung Ja and isn’t quite sure how she should broach the subject. 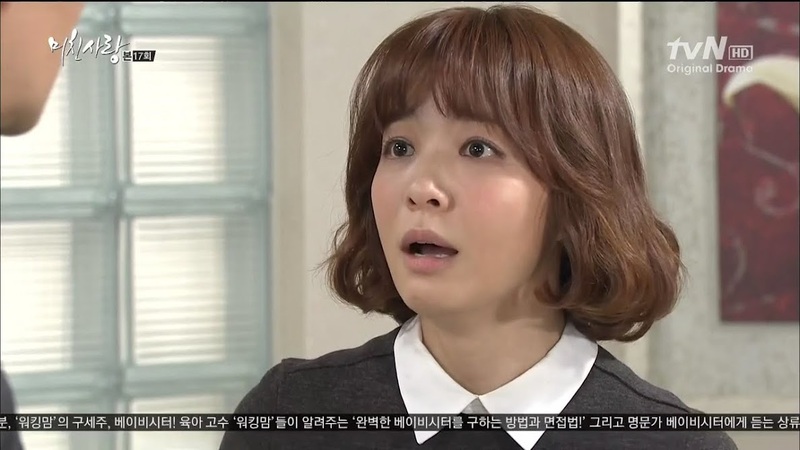 Yoo Jung then reveals she heard about what happened to the Lee family. This shocks Myung Ja. Say what? 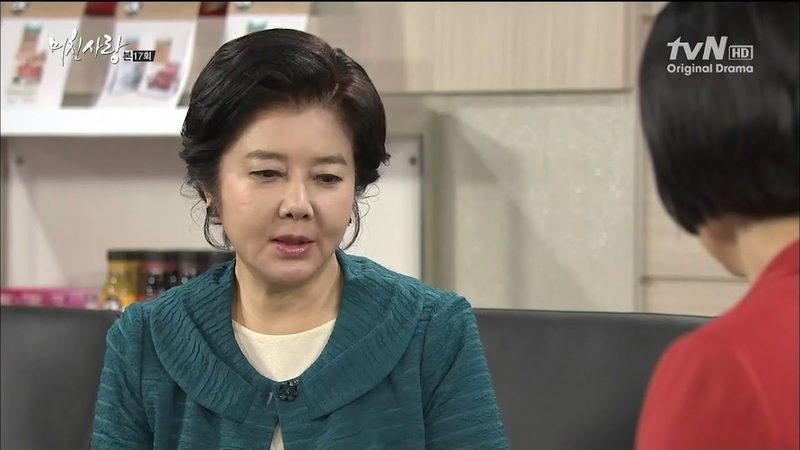 Yoo Jung then says while they may have difference of opinions in regards to work, her heart is breaking for Myung Ja as she is a mother herself and can imagine the pain she is going through. Yoo Jung sincerely prays that Myung Ja will find her granddaughter. Of course, Myung Ja just believes that Yoo Jung is being a sly fox, especially when Yoo Jung vows to do anything work related to help out Myung Ja out during this time. Aigoo. What has poisoned Myung Ja against people? Poor Ko, of course, gets bawled out. Yoo Jung’s assistant reports everything to Na Young who promises to reward the girl once she’s back in CK. The assistant wonders if Na Young will really get back in. 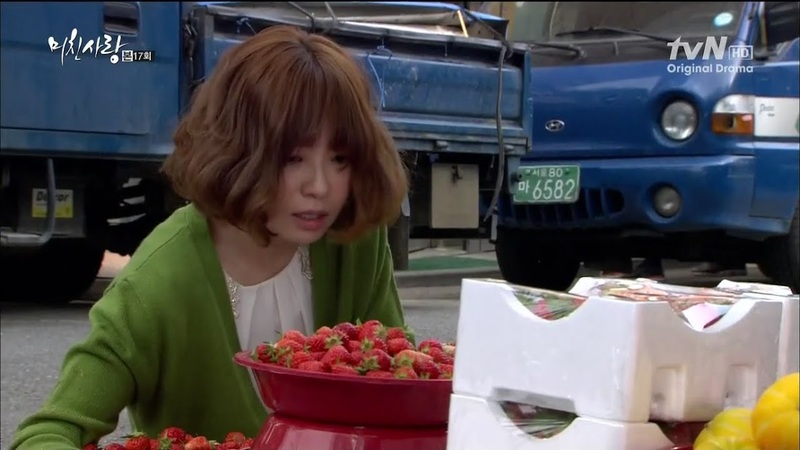 Na Young assures her she will since Myung Ja will soon realize her worth. The assistant leaves and Na Young smirks as she thinks over what Yoo Jung is planning. So…will Na Young make a silent move for or against Yoo Jung in order to get into Myung Ja’s good graces once more? What a treacherous girl…not that is news, but you know. It’s like with Smile, Donghae, I can’t resist bashing Saewa and I can’t resist griping about Na Young’s vileness in this drama. Yoon and Chan Ki return home after handing out and posting fliers. Chan Ki worries if his father is all right doing this at his age. Yoon assures his son he is fine and then worries over Chan Ki’s health since over exertion isn’t good with his problems. Chan Ki assures his father he can handle that much. Chan Ki then holds up the flier and asks his niece to hurry and come back. Yoon says that they have put up and handed out a lot of fliers so Hae Ram should be found soon. Chan Ki then talks about a man who threw out the flier as soon as he walked by. This annoys and disgusts Yoon as well, but they cannot dwell on this. Hae Ram WILL be found. Chan Ki gets up to make some ramen when Jong Hee comes over with lunch. Yoon apologizes for not being able to go into work and she scolds him for this. Work isn’t important. If she wasn’t the boss and had to make sure the orders were filled, she’d be out there helping them. Jong Hee then asks for more fliers to hand out to the people at work and her friends. Chan Ki thanks her. Yoon then glances over at the skates. Those are his first gift to buy Hae Ram and he hasn’t been able to give them to her. Jong Hee scolds him and tells him that Hae Ram will definitely get to wear them. This touches Yoon and he apologizes for thinking of her badly. Jong Hee then reminds Chan Ki about going in for dialysis which he refuses to do as he wishes to look for Hae Ram. With Hae Ram missing, how can the family stand to have something bad happen to Chan Ki, too? Jong Hee then says she called Mi So up and she knows Mi So is close to breaking even though she lies and says she’s fine. Chan Ki fights back tears at this. At the Lee home, Mi So is busily making batch after batch of cookies. Min Jae comes home and asks what she’s doing. Mi So says she is making them for when Hae Ram returns since Hae Ram really loves the cookies Mi So bakes for her. Min Jae says when their daughter returns he will read her whatever story she wishes. He pushes up his sleeves—should he help? He then comments that since Mi So made so much, Hae Ram will end up with cavities. Mi So smiles. They will make Hae Ram brush her teeth well and if she gets cavities, then they will take her to the dentist. Mi So then laughs. Hae Ram hates the dentist and would look up at Mi So with teary eyes and clutch her arm bravely during each visit. Mi So then tears up and asks to do a public investigation since there is no news from any kidnappers. The longer a person is missing, the less likely they are to be found. They are wasting time right now. Can he talk to Myung Ja about going public? Mi So starts breaking down. She can’t take anymore of this. She feels like her daughter is slipping farther and farther away. Min Jae promises to do things her ways. He starts crying himself. He says they must help Hae Ram eat all the cookies Mi So baked for her and the two start sniffing back tears and boxing them up. Kyung Soo is at his office working when he thinks of what Mi So told him about being abandoned and crying a lot and worrying about Hae Ram going through the same, black experience. Kyung Soo had hoped that the pain he gave her would be her last, but no. She’s now suffering more pain and heartbreak. He then prays for her to be strong as Hae Ram will definitely come back. He then gets a call from his father-in-law saying that President Gu jumped off a building. Kyung Soo rushes home where Oh tells him about a tree breaking Gu’s fall so that the man is still alive. Kyung Soo wants his father to back off as things can quickly go south, but Oh refuses to. He wishes for Kyung Soo to quickly go in and finish the job. Kyung Soo begs his father-in-law to reconsider. This only makes Oh angry. He calls Kyung Soo a spineless bum with a weak stomach. If he’s going to act like this, then he can go be a public defender with pro bono cases and stay out of Oh’s business. Enter Hae Ryung who blows up at her father’s treatment of her husband. Kyung Soo tries to get Hae Ryung to stop, but she won’t and scolds both her husband and father. Enter Yoo Jung who wonders why Hae Ryung is screaming like that. Yoo Jung asks what happened and Oh explains that Hae Ryung attacked him after she overheard a few words that he said to Kyung Soo. After all that hard work and “raising his daughter right” she verbally assaults him like that? Yoo Jung then tells her husband that he is crude and curses out Kyung Soo often. Oh says that is because he is comfortable with Kyung Soo as if he was his own flesh and blood son. That’s nice that he feels that way, but that doesn’t excuse his treatment of Kyung Soo. It makes even Yoo Jung unhappy and you know how sensitive Hae Ryung is. So can’t Oh be a little more careful from now on? Oh is not happy that his wife is taking Kyung Soo’s side, too. This makes Yoo Jung laugh and call him a child. They are a cute married couple. 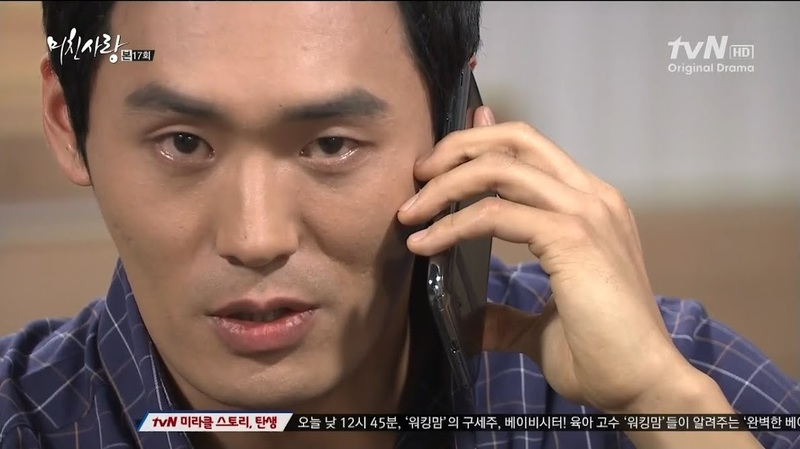 Kang Sik is with his sick mother when he gets a call from the upset Na Young. Just as he vows that he will escape to Busan and then run to Japan, Baek’s men come in. Na Young overhears this and freaks out. She puts in a call to Baek and asks if he sent guys to find Kang Sik. News travels fast—how does Na Young know? She lies and says Kang Sik called to tell her. So why is Baek sending men after him? Baek replies that he cannot let his man do bad things behind his back, so he will teach Kang Sik a lesson. 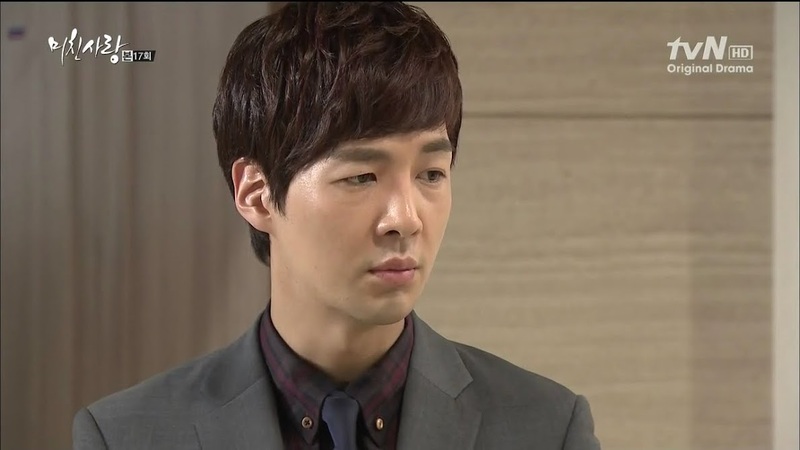 Plus, smirk, Baek believes that Kang Sik is hiding something else from him. Of course, Na Young freaks out even more. 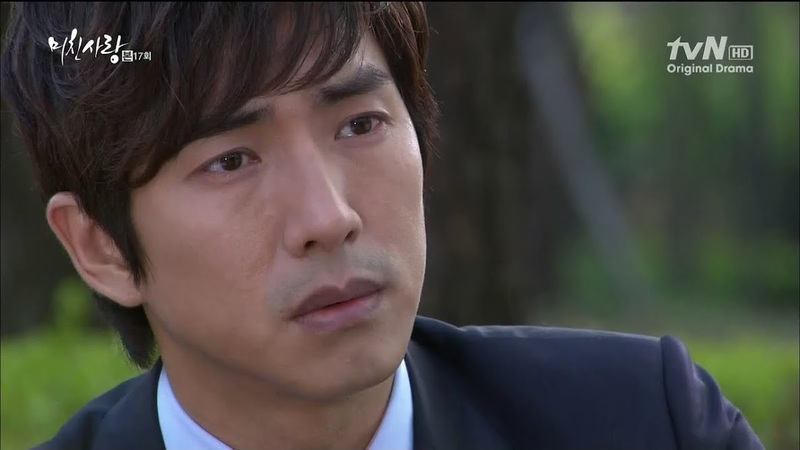 She discourages him from interrogating Kang Sik. What if something goes wrong? Men like he and Kang Sik don’t die easily. Besides, where he saves someone or kills someone has nothing to do with Na Young. She replies that she has to interfere since she doesn’t want to be the reason Kang Sik dies. This makes Baek laugh. Since when has she worried about anyone other than herself? See…he does know here well…so was it really guilt that kept him near her and helping her all of these years? Baek asks her one more time what else she ordered Kang Sik to do, but she keeps up the lie that there was absolutely nothing else. If that’s the case, then don’t interfere. Baek then hangs up and Na Young freaks out. If her beloved oppa ever finds out the truth, he’ll never let her get away with it. So…what will she do now? Kang Sik is delivered to Baek who mercilessly beats the other man recalling his conversation with Kyung Soo about ruining a woman’s life. Baek then uses Kyung Soo’s words on Kang Sik. He tells the bully and trash to get up. Kang Sik apologizes, but Baek picks him up just to punch him down again. Without Baek’s consent how dare he touch a woman with a normal family? How dare he become a dog? What did Baek tell his men when he brought them with him? Even if they aren’t human, they shouldn’t become thugs (what do you call what he was doing to Mi So earlier—wasn’t that acting like a thug? ), they shouldn’t become dogs. Kang Sik apologizes once more. He knows he was wrong. 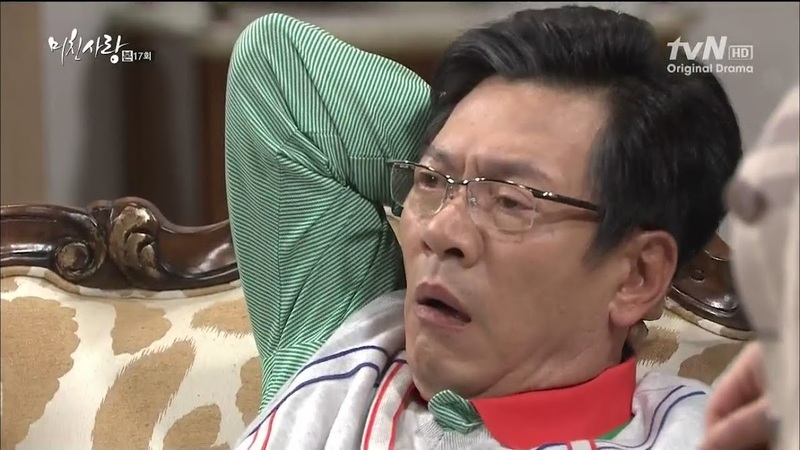 Baek then asks how much money Kang Sik got for acting worse than a dog. Kang Sik replies it was enough for his mother’s surgery and hospital fees. That’s it? Yes. Baek then demands Kang Sik lift his head and tell him if there’s anything else he’s not telling him. Kang Sik reluctantly looks his hyung in the eyes and lies that there is nothing else. 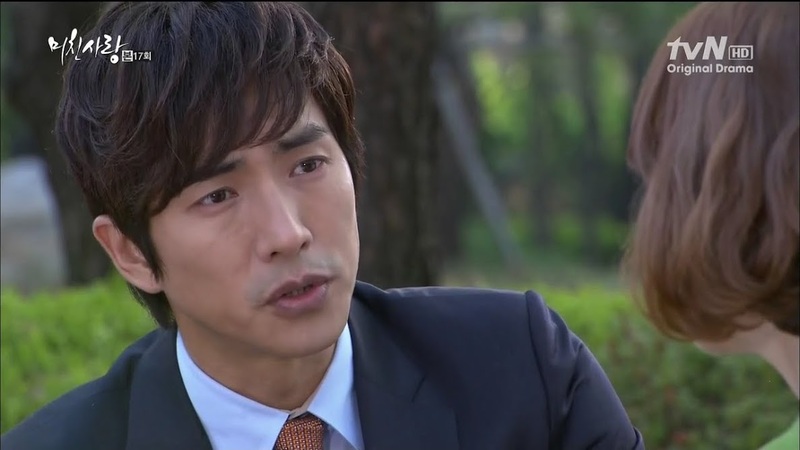 Baek then swears he will Kang Sik if he find out he’s lying. 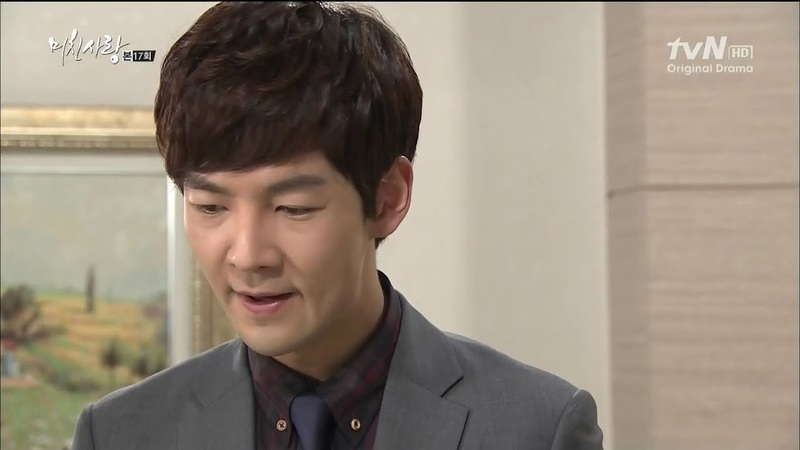 Baek then tells Kang Sik that he can only come to him if he has money problems in the future. Also he must always pick up by the third ring and he must NEVER EVER contact Na Young again or there will be hell to pay. He tells him to lay low for awhile and Kang Sik beats a hasty exit. Mi So is out walking when she sees a little girl. This makes her pause and look back. She then notices a little boy with the same stuffed animal as Hae Ram’s. Mi So begins flipping out believing it is her daughter’s. She demands to know where the boy found it and where her daughter his. The boy starts crying and his mother comes over getting angry at Mi So’s craziness. Hence we get the tug of war over the doll. The mother wins as Mi So gets thrown to the ground. She quickly takes her son and leaves. Back at JR, Kyung Soo recalls Baek’s words about ordering Kang Sik to scare Mi So into silence and the man must have went overboard. Since Kyung Soo is no idiot, he smells a rat. He then calls up Mi So and is shocked when a strange man answers her phone. The man asks if Kyung Soo is Mi So’s husband s there is something wrong with her. How can Kyung Soo let a woman in her state out of the house on her own? Kyung Soo demands to know where she is and goes rushing out. When he arrives, Mi So is still crouched in place. She does look up at him. Kyung Soo takes care of the scratch from her fall and Mi So apologizes for troubling him. She tells him that she can take care of it herself, but Kyung Soo insists he finish the job himself. Mi So then says she was acting like and idiot as there must be tons of dolls identical to that one. 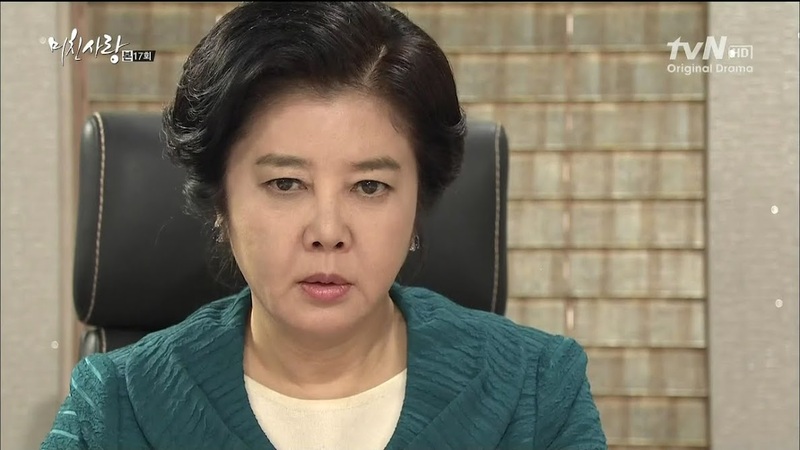 Kyung Soo assures her that anyone in her situation would have probably done the same. Mi So thanks him for making her clean again and then tells him she is fine so he doesn’t have to look at her with those sad eyes anymore. He’s really good at those sad and morose expressions. Mi So then asks why he called earlier. He had something to ask her, but it can wait until later. Kyung Soo then says he will take her home to rest as he’s sure she hasn’t been sleeping. Mi So confirms she can’t sleep as it’s too dark and scary when she closes her eyes. She’s afraid something bad will happen. Kyung Soo understands her, but she needs to sleep. This way tomorrow will find her. Plus, Hae Ram will definitely be coming back. Mi So tears up. Does he really think her Hae Ram will return “tomorrow”? Of course. She will come home with a big smile as if nothing had happened. This relieves Mi So. She then gets as call from the Center of Lost Children saying they have a girl there who resembles Hae Ram. Mi So asks to speak to the child, but the man replies that he doesn’t know why, but the girl seems to have received quite the shock and cannot speak. Can Mi So come down to see if this girl is her daughter or not? Mi So quickly agrees to and agitatedly gets to her feet. Kyung Soo asks if they found Hae Ram. Yes. What to do as Mi So needs to hurry and get there. Kyung Soo tells her she can’t drive in her state and tells her to wait there for him while he gets his car. The agitated Mi So looks through her daughter’s pictures on her cell. At the same time, Min Jae is looking at his daughter’s photos, too, when Mi So calls him and tells him the news. 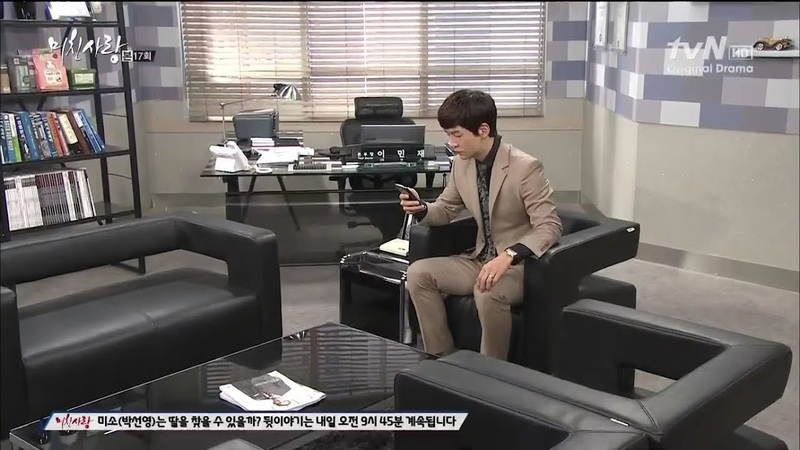 Min Jae agrees to meet her there and rushes out of the office. We end the episode with Mi So and Kyung Soo arriving at the center and Mi So calling out to the little girl. Kyung Soo is already so in love with Mi So. When will she fall for him as well? Just curious. Although, it probably won’t take too long since her husband keeps on her case about how everything is her fault just like his mother. Sigh.